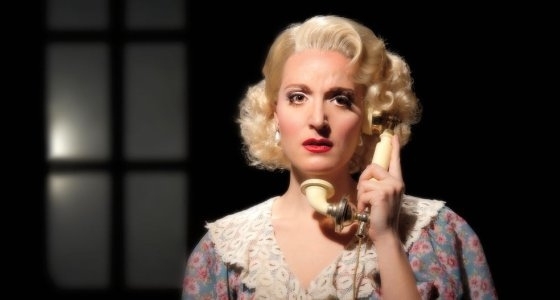 Mezzo-soprano Betany Coffland as the discarded lover in Opera San José’s La voix humaine (photo by Chris Ayers). Description: Opera San José joins dozens of other opera organizations nationwide to celebrate National Opera Week (October 28 – November 6), coordinated by OPERA America, the national service organization for opera, with support of the National Endowment for the Arts. As part of the week-long celebration, Opera San José will present two free public performances at the Dr. Martin Luther King Jr. Library in downtown San José and partner with the Santa Clara Valley Transportation Authority to encourage patrons to ride the VTA to the opera. On Tuesday, November 1 at noon, the company will present a preview of two one-act operas, Leoncavallo’s emotional tour de force, Pagliacci, and Poulenc’s monodrama, La voix humaine. The program will include a selection of arias and duets performed by members of the cast, followed by a panel discussion with members of the creative team, moderated by Opera San José’s general manager Larry Hancock. On Friday, November 4 at 4 p.m., children of all ages are invited to a performance of a one-act touring opera based on Engelbert Humperdinck’s classic, Hansel and Gretel. Performed in English by Opera San José’s singers, Hansel and Gretel provides children with a positive experience of an art form that may be new to them, offering a fantastic introduction to opera and theatrical storytelling through music and voice. Both events will be held on the 2nd floor of the library in room 225/229, located at 150 East San Fernando Street at 4th Street in downtown San José. No reservations are required. Opera San José will extend the celebration through the month of November by partnering with the Santa Clara Valley Transportation Authority to encourage patrons to take public transit to the California Theatre for performances of the company’s double-bill of Pagliacci and La voix humaine, November 12-27. VTA monthly pass holders can save 20 percent on tickets to any performance of Pagliacci and La voix humaine by presenting a valid monthly fare pass at time of purchase. More information on Opera San José. More on National Opera Week. More on VTA fares and schedules. Opera San José, performing at the historic California Theatre in downtown San José, is a professional, regional opera company that is unique in the United States. Maintaining a resident company of principal artists, Opera San José specializes in showcasing the finest young professional singers in the nation. In addition to mainstage performances, Opera San José maintains extensive educational programs in schools and in the community at large, and offers Preview lectures and Introduction to Opera talks for all mainstage productions. 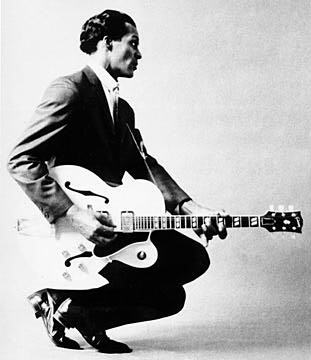 Chuck Berry composed the 1956 hit single "Roll Over Beethoven." The exhibit is open to the public without charge. 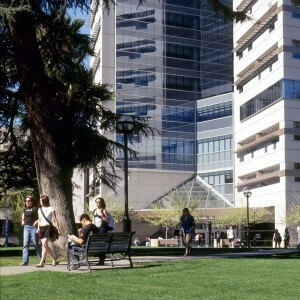 Funding was provided by the San Jose Office of Cultural Affairs, American Beethoven Society and San Jose State University. More information, including an extensive collection of YouTube clips. Senior communications student and King Library employee Diana Teddington demonstrates how quick, clear and user-friendly the iPads are at the library (photo by Amanda Holst). Apple’s iPad is popping up all over campus, providing students, faculty and staff with the opportunity to explore the potential educational benefits of mobile technology. King Library is the latest place to give it a try. “Right now we are experimenting and figuring out how often students are using them and in what ways,” said John Wenzler, associate dean for digital futures, technical services and information technology. Students, faculty and staff can borrow any of the available 26 iPads at Student Computing Services for a four-hour block of time for use in the library. A Quick Start Guide shows those who checkout iPads how to easily connect to the library’s wireless network, locate multiple apps, and access and use the library catalog. Recipients cannot owe more than $10 in library fines and must be able to take full responsibility if the iPad is stolen or damaged. 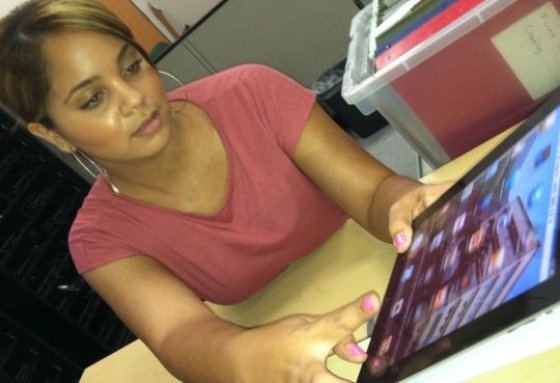 Two iPads are available for CASA students at the CASA Student Success Center. The long-term plan is to find ways to use such tech tools to enhance retention rates, according to CASA Student Success Center Director Kathryn Sucher. This term, the iPads will be used in workshops to help students with notetaking. “You can sync your notes to your computer and use the material in a variety of different places, creating presentations or portfolios,” said Dane Riley, an Apple higher education system engineer. 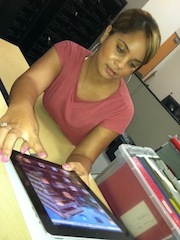 For now, CASA peer mentor and senior kinesiology major Michelle Pascua is using the iPad to go online. “The benefit of having it at the success center is that if you need to do a quick search, it’s literally at your fingertips,” she said. The Connie L. Lurie College of Education may be the only place on campus where instructors can check out enough iPads for an entire class. This program, funded in part by an iPad mini-grant last spring, is designed to explore whether the iPad is a good tool for teaching in a K-12 setting, according to Interim Associate Dean Mary McVey. This semester, three classes will participate in the pilot program. SJSU, San Jose Public Library Honor Dr. Martin Luther King Jr.
SLIS student Mary Woods never dreamed that she would be able to combine her love for film and television with a career in librarianship until she spent her summer working as a junior fellow at the Library of Congress. Woods, who earned her undergraduate degree in screenwriting from Chapman University, interned in the Library of Congress’ Moving Image department located at the brand new Packard Campus for Audio Visual Conservation in Virginia. Read Mary’s complete story from the School of Library and Information Science. Beyond the exhibit, Meredith explained the uniqueness of the center, which grew out of a collection of Beethoven’s letters, scores and memorabilia donated to the university by the late Ira F. Brilliant. He was an Arizona real estate developer whose life, like those of millions of others, was transformed by Beethoven. Q Bill, I’m going to let you brag on your anniversary. Outside of Bonn, Germany — home to the Beethoven-Haus center, the world’s biggest — is there any other Beethoven research center that rivals the one in San Jose? There isn’t anything like it anywhere, actually. It’s very American, very open and accessible. When you walk in, you can actually sit down and play some of the instruments in the collection, very fine reproductions of instruments similar to those played by Beethoven and his contemporaries. So elementary school kids come in, and they get to try the harpsichord and the clavichord and the early piano. Well, this just blows them away, and they stay for hours. We also have original, antique instruments from Beethoven’s time, including a Broadwood piano, made in London in 1823 — and similar to the instrument Beethoven owned in Vienna, the one on which he composed his late sonatas. Someone from the staff will demonstrate the Broadwood — and our other vintage instruments — for the school kids, or whoever’s visiting. Q This doesn’t happen in Germany? A No! In Bonn and in most music instrument museums, you can only look. It’s very frustrating to look at something that wants to be heard. Here at the center, everybody gets the docent-led tour. Everybody gets to hear the instruments. And the same is true of the books on the walls: They’re open for everybody to use. Let’s say a high school kid wants to do research on Beethoven’s deafness. He can come in and look at all the books we have on the subject, whereas in Germany, the kid could never even get into the Beethoven Archive at the Beethoven-Haus. Q The Bonn center obviously is much older than yours. A Yes, nearly a century older. It opened in 1889. Q And it’s much bigger. A Sure. But we’ve got some rare stuff, too, and we’re always adding more. We’re just now raising funds for a second lock of hair — one that Beethoven’s secretary Anton Schindler, his first biographer, actually cut while Beethoven was still alive. But we already have cooler things than that. We have several of Beethoven’s letters, some of which we’ve never had on display until now. They’re in the new exhibit. And there’s another engraving of Beethoven’s doctor during the time when Beethoven was writing his Heiligenstadt Testament. (In his “testament,” the composer despaired over his illnesses and increasing deafness, wondering if he would be able to fulfill his destiny as an artist.) It’s a really beautiful, high-quality picture, so you actually get to see what this doctor — who foolishly sent the composer to the countryside “to rest his ears” — looked like. A I think so. But coming back to your question, the Bonn center will always have more autographs than we do — more manuscripts and musical scores from the composer’s hand. 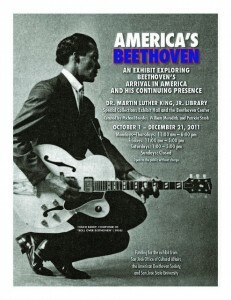 Q Are there other Beethoven centers and museums? A Several little boutique museums exist. The Brunswick Castle outside of Budapest has a Beethoven room that’s a little museum. There’s also a little Beethoven room in the ErdÃ¶dy estate outside of Vienna. Q What else is unique about the center in San Jose? A We publish the Beethoven Journal — again, there’s nothing like it, anywhere. At the Beethoven-Haus, they publish a journal that comes out once a year, but it’s made up of scholarly articles written for other scholars and not intended for the general public. Whereas the Beethoven Journal, which comes out two times a year, always includes two or three articles that are scholarly, but it also tries to aim at interested non-professional people. And now the author of the article, Walther Brauneis, reveals the sordid history of the Nazis’ founding of the museum and shows that it was all a mistake. Beethoven actually lived next door to the apartment that is the museum. All year long, Beethoven lovers visit what they think is Beethoven’s apartment, without knowing the horror and error of its founding. That’s an example of what we do. The Beethoven Center works to break down the walls of academia in terms of sharing information about Beethoven with the world at large. Rather than having the view that the information uncovered by scholars is intended only for scholars, we’ve taken the view that it’s for everyone. And given Beethoven’s impact on the world, the more we know, the better off we are. It helps everyone to understand what his music means and what it can teach us about what it means to be fully human. Q You’re coordinating a series of scholarly books on Beethoven? A It’s called the North American Beethoven Series, and it’s put out some incredibly important books. I didn’t write them! The center has co-sponsored the series with other institutions and — because San Jose State doesn’t have its own press — with other university presses. It contains the first collection, in three volumes (from University of Nebraska Press), of the letters that were written to Beethoven, rather than by him. You can finally read the other half of the conversation. Ted Albrecht is the editor. And then there’s a collection of all the reviews of Beethoven’s works. So any review, say, of the Fifth Symphony that was published during Beethoven’s lifetime (he died in 1827), and then up to 1830, is in the book. And they’re translated into English, and I’m working on it with two other editors. We’ve published two of the four volumes so far, again from the University of Nebraska Press, and the next two will be published by Pendragon. A reviewer from 1813 was already writing, five years after the Fifth’s premiere, that it was a “classic” of large-scale instrumental music, but he also pointed out that the famous Scherzo movement had fallen apart at every performance he had heard because of its incredible difficulty. Some critics were still dismayed in December 1826, four months before Beethoven died. One reviewer called the Fifth so crazy and wild that it was contrary to good taste, that it’s monstrously long, and the third movement is so “extremely fatiguing” that the listeners have no desire to hear any more music when the work finally ends. Thank God the poor Beethoven, already on his deathbed, didn’t see that one! 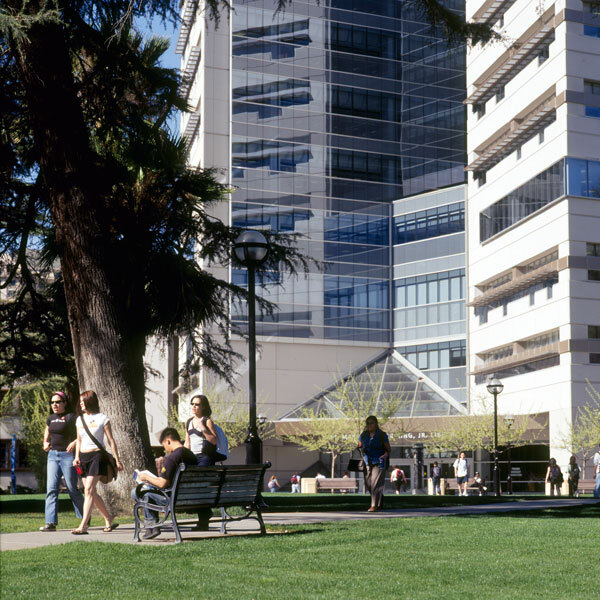 The University Library, housed within the Dr. Martin Luther King, Jr. Library, has launched a new website providing a seamless gateway for SJSU students and faculty members to access academic resources. The site also highlights unique and valuable services. “The library did extensive usability testing with 47 people, including undergraduates, graduates and faculty, to make sure that the new site would be intuitive and easy to use for an academic audience,” said John Wenzler, associate dean for digital futures, information technology and technical services.